Should you recommend a trust instead of a will to your client? Choosing a trust over a will allows your client to avoid probate. This is particularly important when the client owns real property in different states. The successor trustee can immediately start transferring property at the death of the trustee. A trust results in estate tax savings. What factors should be taken into consideration when deciding what type of trust fits your client’s needs? What should be taken into account when choosing the trustee? Use this 60-minute on-demand webinar, "Trust Instead of A Will? The Crucial Client Counsel Update for Tennessee Attorneys" and learn all the advantages and the challenges that come with using this estate planning vehicle. The presenter will provide guidance on determining if a trust or will is best for your client, what type of trust should be used, and how to draft the trust instrument. Trust Instead of A Will? The Crucial Client Counsel Update for Tennessee Attorneys — is just $107. 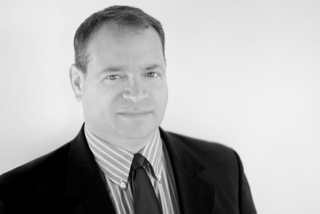 David E. Heller is an attorney with the Nashville law firm of Martin, Heller, Potempa & Sheppard, PLLC, where he concentrates his practice in the areas of estate planning and probate, including asset protection planning for high-net-worth individuals, business succession planning, charitable planning, and generation skipping planning. Mr. Heller focuses on a comprehensive wealth preservation program which allows the family to preserve its wealth from taxes, creditors and others outside the designated family unit. He advises clients on how to integrate business interests along with executive compensation packages into the family's overall wealth preservation strategy. Mr. Heller has written extensively on these and other topics and has presented his work at many seminars and CLE presentations.